InFlight is a simple taxi flight timer mod that lets you know how long it will take to get to your destination. Other mods may provide a similar feature, however, InFlight is a lightweight alternative that, in most cases, is leaner, faster and uses a lot less memory (which is the main motivation behind InFlight). Hi, i have made a new german translation for InFlight. I hope it's useful. I'm sorry if this is not the right place to post stuff like that. 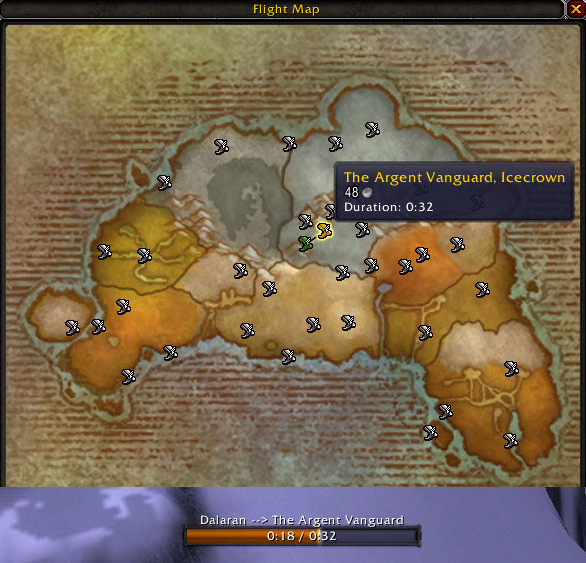 I can't test all the flights, my chars are in Outland yet. Last edited by R_X : 04-13-19 at 06:55 AM. 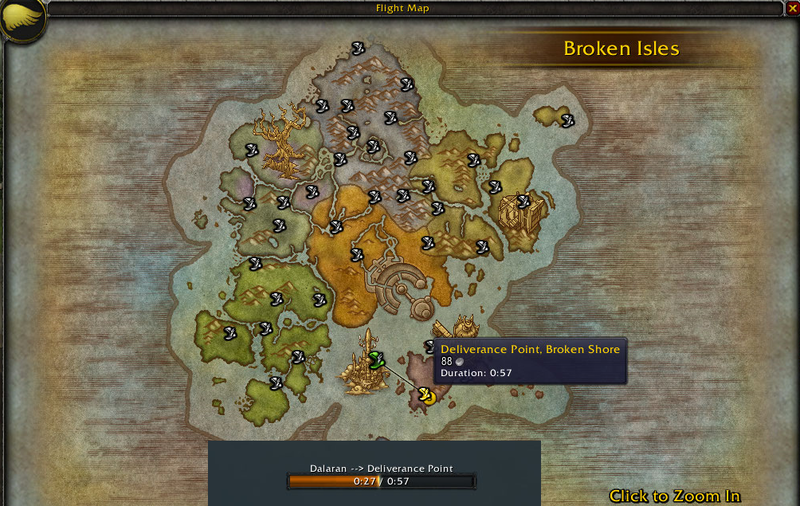 As far as I can find, your addon is the only one being updated for Flight Master timing, etc. The other(s) have been removed from Curse. Now sure about wowinterface. Last edited by sconley : 03-21-19 at 10:21 AM. Addon no longer works at all. I don't get the list of fps just the map. And both components are loaded, in flight and the load module. InFlight doesn't create a list of flight points, it only adds the flight time to the flight point tooltip and adds a flight timer bar while flying from one flight point to another. Re: Busy, Can't Use Ferry? But I'm wondering if anything to do with this addon is causing me to not be able to use ferries? I accidentally managed to trigger this bug. The error message saying that you are busy is from WoW and is most likely due to you still being in combat, at least, that is what happened to me. There actually is a vehicle check, unfortunately that was where the bug was. This has been fixed for the v8.0.006 release. Last edited by wildcard25 : 11-08-18 at 01:30 AM. (*temporary) = "attempt to call method 'Sanitise' (a nil value)"
border = "Blizzard Chat Bubble"
font = "Friz Quadrata TT"
I just got this message as well. I was using the Port of Zandalar flight-master and it occurred when I opened the flight window. Forcing computers to do my bidding since 1977. @strapdoc Option to turn this off has been added for next release. @Cidrei You are correct. 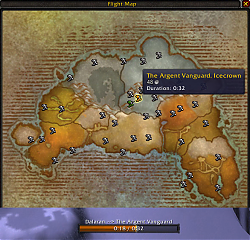 Blizzard 'optimised' events in late WoD or early Legion that broke this, it's just more obvious now with the text showing in chat. I am working on a fix just need to make the time to test it properly. @Reaper666735 Option to turn this off has been added for next release. @DaSandman Time updates will be included in a future release. Will there be a new version with more times? I assume lots of people have been uploading additional flight times (I just did mine now). 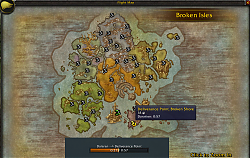 Will there be an updated version of the addon with all the new times added? Hi, how do I disable the bar spark? I am using the bui one pixel bar texture because it looks really nice for this addon but the bar spark is kind of ruining the aesthetic. I might be misremembering, but I believe InFlight used to not save flight times if you were interrupted mid-flight by something like a summon or a dungeon queue pop. With the more recent updates it records my flight times as short half-flights when I get into a dungeon or expedition or the like leading to inaccurate times all over the place. Any way to prevent this?